Summer’s just around the corner and we’ve got a few household tasks you should knock out before it gets too hot. Tackle these projects and you’ll be more than ready for impromptu party-throwing. 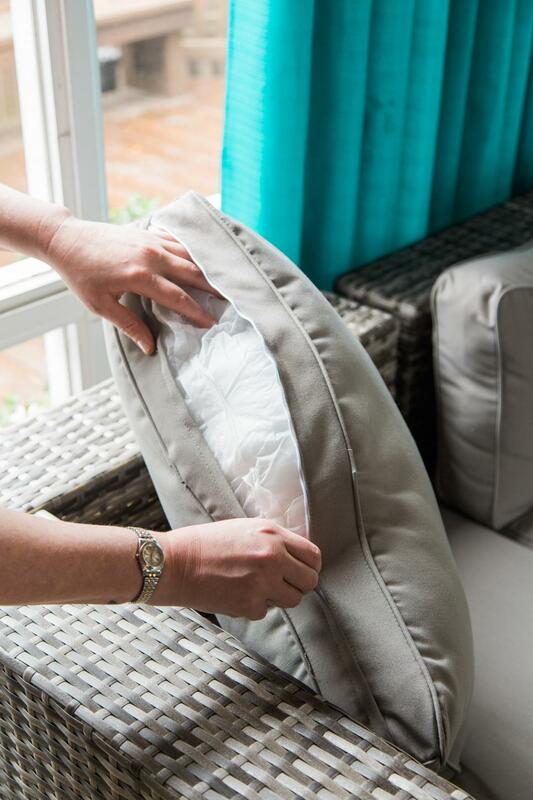 Indoor/outdoor cushions and pillows take a beating, so give them a good once over to make sure they’re still in decent condition. Consider removing covers and washing them. If some are in really rough shape, you may be better off replacing them altogether. This one sounds simple, but you’d be surprised how often it’s overlooked. 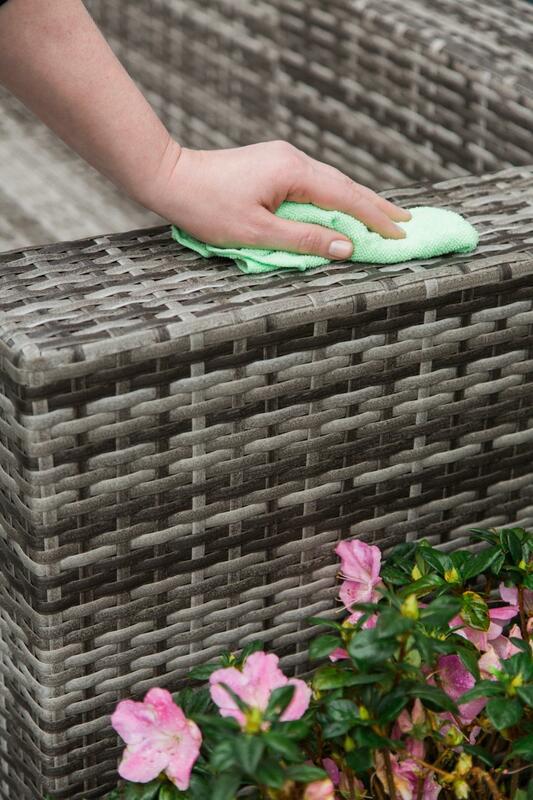 While rain showers wash away some dirt and pollen, a thorough wipe down, including the nooks and crannies, goes a long way to keeping outdoor furniture looking its best. 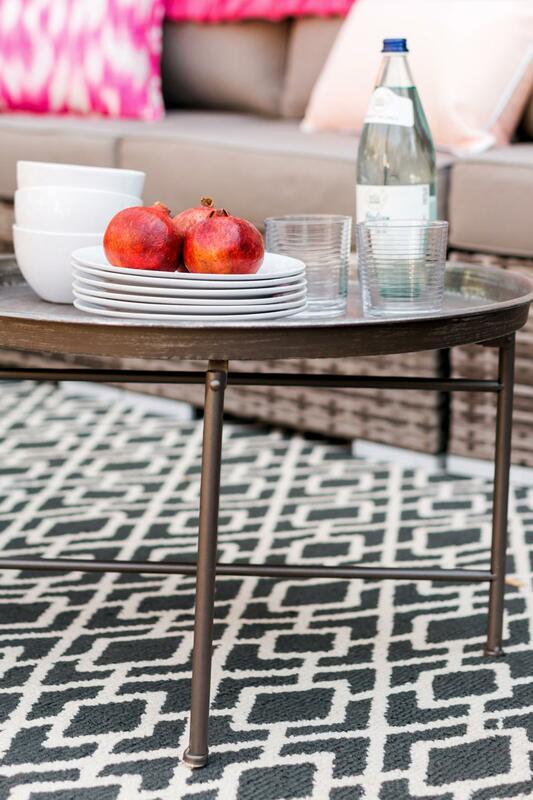 An outdoor rug will last a lot longer if you periodically vacuum it, hose it off, then let it dry out thoroughly. 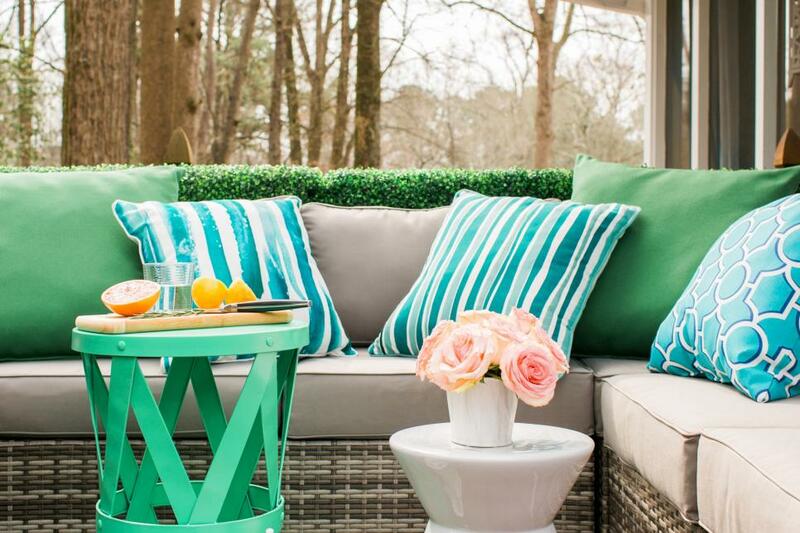 Even when it’s considered an “outdoor” rug, it needs the occasional TLC, too. If you like instant gratification, pressure washing is going to be your new favorite hobby. Seriously. And a pressure washer doesn’t have to be intimidating. When you rent one, the rental center will show you how to use it. 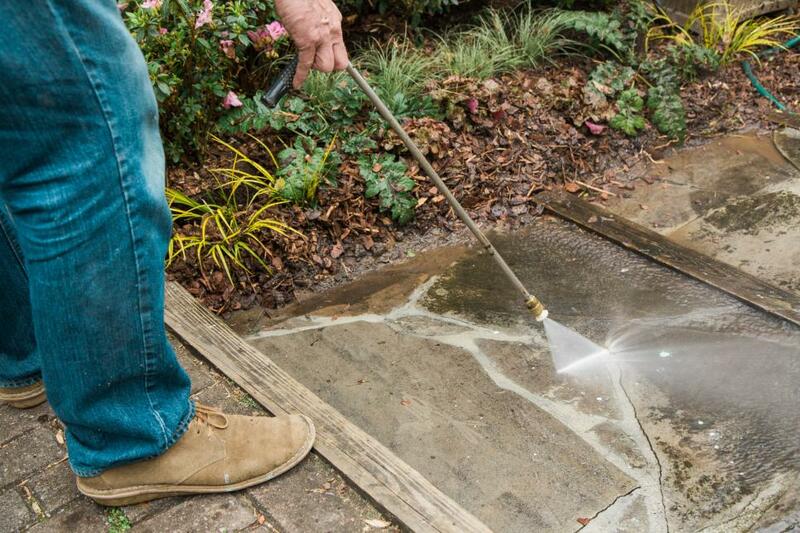 A few minutes of pressure washing can remove YEARS of dirt and grime off your patio and walkways. Summer sun and heat can do a number on a wood door, warping and cracking its surface over time. 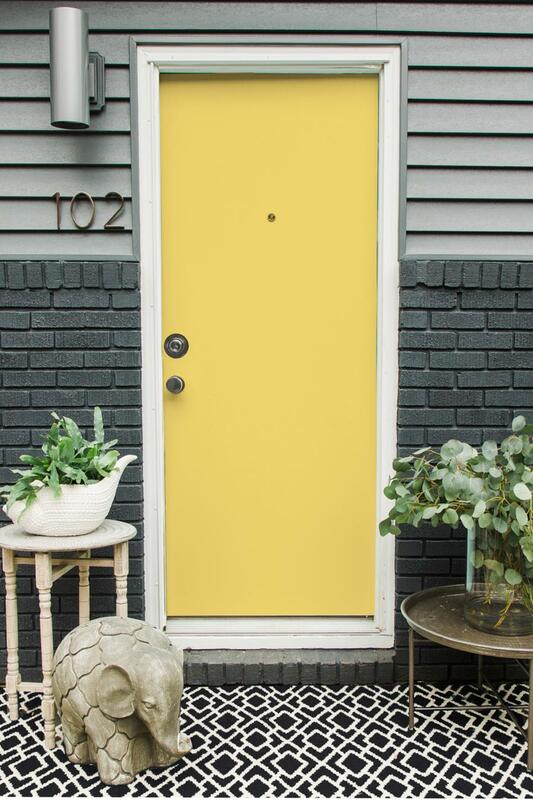 Re-painting your door not only helps seal the wood and protect it from the elements, but it gives your entry a nice little facelift. 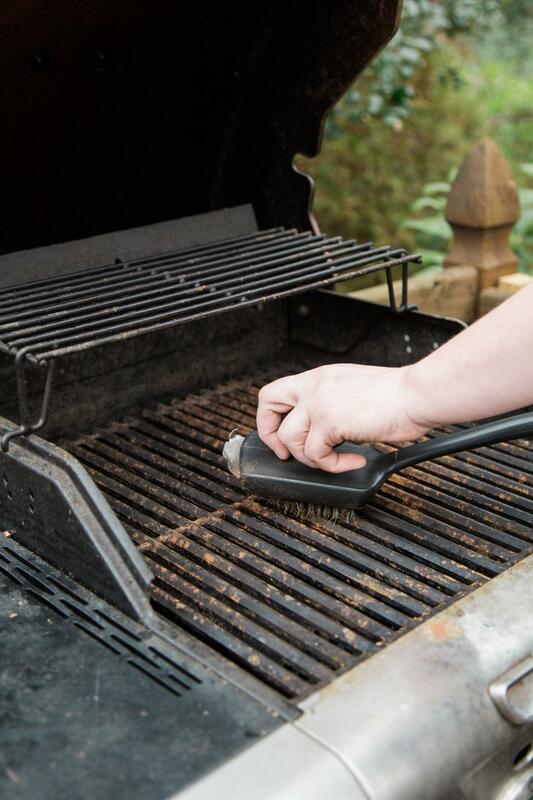 If you cook out often, a deep clean twice a year is necessary to keep your grill in top form. It’s amazing what a good scrub-down of cooking grates, burner protectors and the cook box will do for your grill. And don’t forget to keep the grill’s exterior wiped down, too. Note: Always disconnect the gas before you do a deep clean! 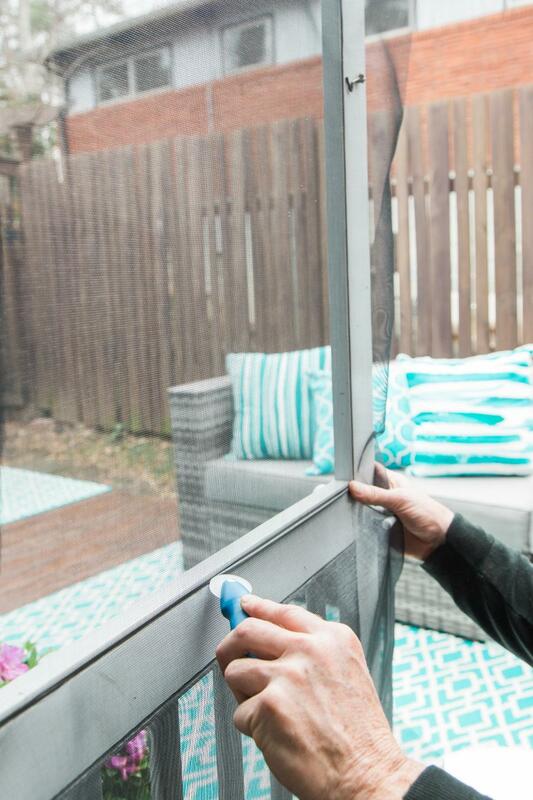 Even the smallest tear in a screen can let dozens of mosquitoes and flies into your screened-in porch or patio. This year, shut them down by fixing those screens once and for all. It’s surprisingly easy to do with just a few tools. Most fans are designed so you can flip a switch at the base of the fan to change the direction of the rotation. 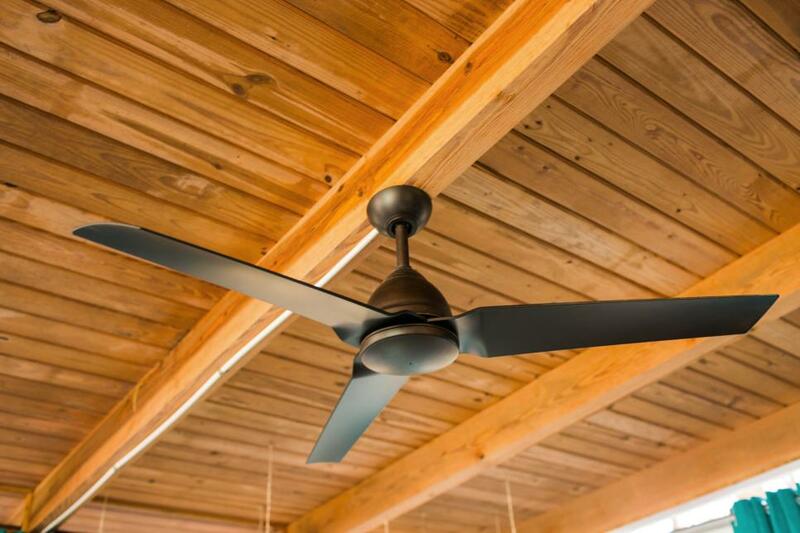 In the summer months, the blades should run forward — or rotate counter-clockwise — to move the air down, creating a breezy effect. Keeping your home cool and comfortable during the summer months can be a challenge. 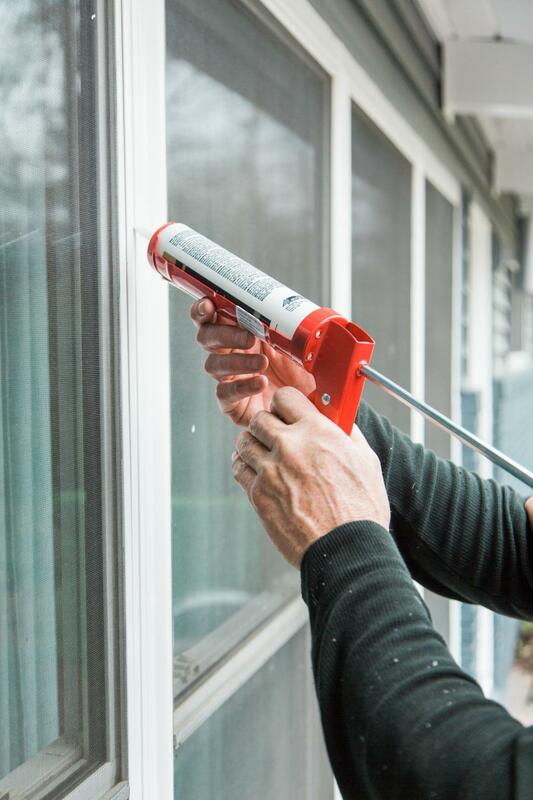 Keep your air-conditioning costs down by re-caulking windows and doors in the spring. Maintaining a properly sealed house helps keep the cool air in which means lower energy bills for you and your family. 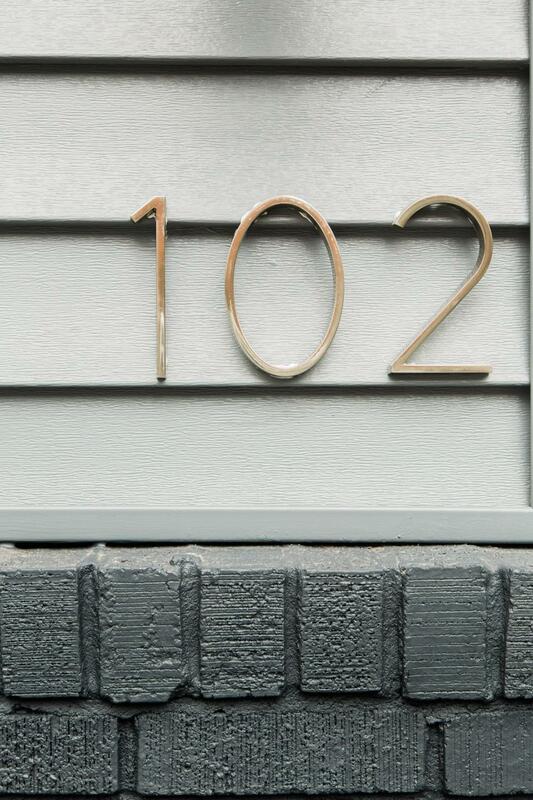 If you plan on doing a lot of entertaining this season, make sure your house numbers are in full view. Consider replacing them with numbers that are larger in scale, and position them under a light fixture for better visibility after the sun goes down. 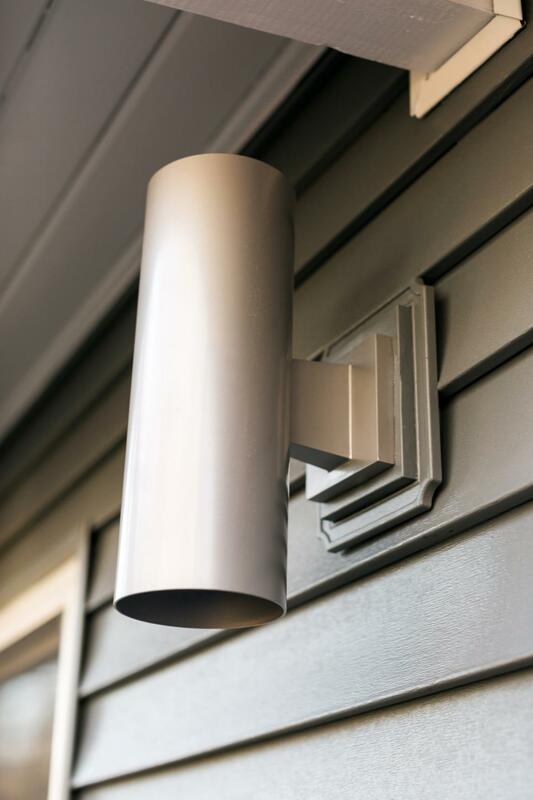 Spring is a good time to consider upgrades and check exterior light fixtures to make sure they’re functioning properly. If you plan on doing a lot of outdoor entertaining you’ll need proper task lighting, as well as fixtures for walkways, entries and ambiance. 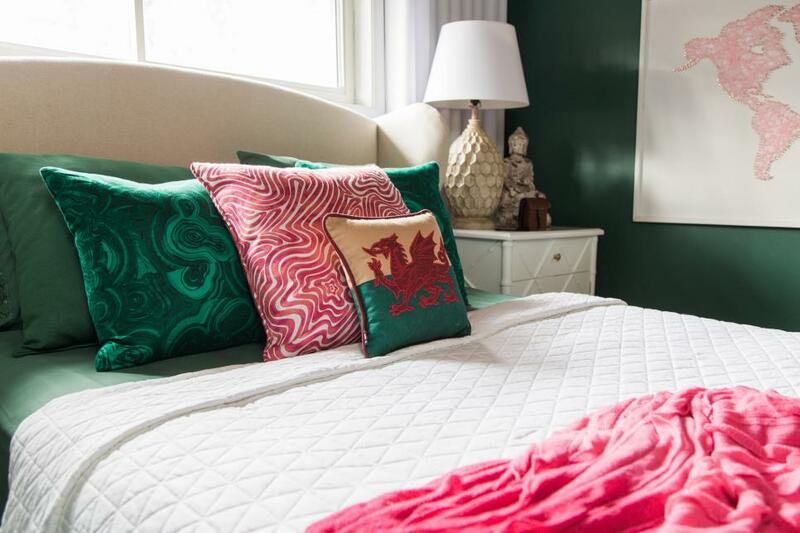 Consider upgrading your guest room’s bedding or adding a few new accessories to freshen the look. Guests will feel completely pampered and totally impressed.